Do you want a cool and glowing Led Watch? 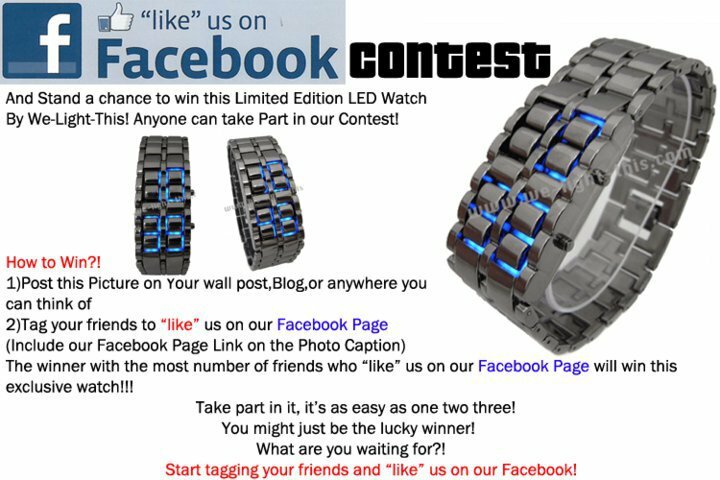 If your answer is yes then this is your chance to get a limited edition LED Watch from We-Light-This. All you have to do is like their page and then invite others to join and like their page as well. 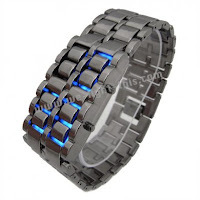 How to Win this cool We-Light-This Led Watch? 1. Post the picture found below this post on your wall post, your blog or anywhere you can think of. 2. Tag your friends to "like" the We-Light-This Facebook page and don't forget to include their Facebook page in the photo caption to make the entry valid. The winner with the most number of friends who "liked" them on Facebook will win this cool exclusive watch.